"We recently engaged Newman Stewart on two occasions to search for international strategic account managers. Good quality candidates were identified and appointments were made ahead of schedule. Newman Stewart took the time to thoroughly understand the business context, the role fit and the desired candidate profile." 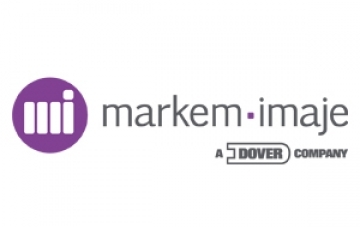 The EMEA Solutions Account Manager’s mission is to expand Markem-Imaje’s presence within specific target (key) accounts through solutions selling, establishing them as a Preferred Supplier for their packaging line solutions. The SSA Manager is the central contact point and coordinator of all solutions opportunity efforts within the assigned territory/accounts and would be directly accountable for the solutions revenue generated by those accounts within EMEA. The successful candidate would need to be able to work effectively and openly across the matrix organisation, typically co-ordinating with the Operational personnel: Key Account Managers, Territory Sales Engineers, Global customer team and Regional support functions like the Pre Sales, Post Sales, Marketing and Technical Support groups. Requiring someone with expert knowledge of the coding and marking industry helped Newman Stewart to focus our search. After agreeing the role description and approach with the client, we undertook a headhunting exercise to find the most respected Sales Managers from within the industry. Having expert knowledge of previous candidates and companies in this space meant that we were able to quickly draw up a short list and analyse responses to job adverts to focus in on the most suitable candidates. Once all shortlisted candidates had been screened we presented only the very best to Markem-Imaje who took them all forward to interview stage. Two roles were successfully concluded for the client ahead of schedule and they were delighted with the level of service and calibre of candidates found. Both have proved to be exceptional hires, proven by the results they are delivering.